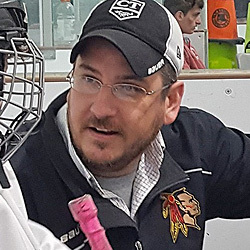 After 3 solid years of hockey, spring hockey, private lessons, tournament teams, roller hockey, and then some more hockey, my oldest has reached the burnout stage. And I know some will read this and say "Told you so..." referring to my ongoing defense of year round hockey. Truth be told, though, I still stand by the benefits of year round hockey. My oldest son is still within the conversation of being among the best of the best at his birth year as a result of all of the work he's put in. He wouldn't be the player he's become without every single minute of ice time he's had. And I don't know so much that he's burnt out, really... It's well short of that. He's not done with hockey and he doesn't appear to want to quit either -- even bringing that up get him all bent out of shape. His development has just, well, plateaued for far longer than it ever has before. And, that, I do blame that on playing year round hockey. There's a solid reason. It's become a routine. A monotanous one. The "fire" and "intensity" required at the level he finds himself in isn't bubbling out like it is with some other kids -- he doesn't "want it" like the more dominant players do. And, really, why should he? He has hockey again tomorrow. And then the day after that. One day off the ice...and then on the road for a tournament where he'll play in 5 games over 3 days. After that, skills one night, followed by practice the next. A night off...and then we repeat. I think he enjoys it too. But it has become a routine. Over the past 3 years, he's played in over 200 games. He's nine?! And I'm not even counting games played with the Spring teams, or Tournament teams, or 4v4 leagues, or open scrimmages, or even practices?! Makes complete sense that a game on a Saturday evening in the middle of February would lack meaning or importance to him. I always stress that effort is the most important thing in hockey, or anything really, and I can't say that I see a lack of effort out there when he's on the ice -- he is giving his all and, like I said, he can still hang with the best of the best at his age level on most nights. He hasn't punched out or given up. He just doesn't have that extra gear anymore that, when combined with full effort, makes players dominant. He's just going through the motions. I mean, he's not out there putting out the minimal effort just to get by. And when the puck is on his stick, he's on, but anyone who knows anything about hockey knows that the players with the highest potential are the ones that know what to do and where to be when the puck isn't on their stick. That side of his game -- which can't be taught -- has plateaued. I'll even go so far to say that it's declined. He takes awkward angles on defense, struggles to back-up his d-partner due to hesitation, and far too often is caught "watching" the game go by him. It's a shame too cause while size and strength will come with age, he's always stood out as "different" from other players in the "I understand how to play this game" regard -- having never been a positionless (and relentless) puck chaser. But compared to the style of play I've seen from him in the past, as recently as the start of the current season, today's version is playing lazy, uninspired hockey. Yeah, you're in position, kinda... Well, not really. And you're certainly not ready to make a play should the puck come your way. Oh, and that shot you deflected into your own goal last weekend in a 7-0 loss, well, that kinda summed up your current situation perfectly. Ouch. Like petals falling off of a rose. And it's not on his teammates. And it's not on his coach either. It's on him... but as a result of the endless hockey routine I've put him in. So he's not playing in a Spring league. He's not joining a 4v4 team. He's not doing a weekly skills session. He's not playing roller hockey. And we're not even attending rival team's practices as an invited guest or free skills sessions either. That could all change but last year, at this time, I had his schedule solidly booked up through the last week of August when training camp began. As of now... once this season ends in a few weeks time, followed by the crazy tryout schedule, he has nothing until May besides one tournament team tryout result still pending. I know how that all works, though... This late in the game, he's not getting selected. Probably a good thing. And the parent imposed exit from the ice isn't a punishment but more an attempt on my part to get him to "want it" again rather that just expect it to be delivered three, four, or five days per week. 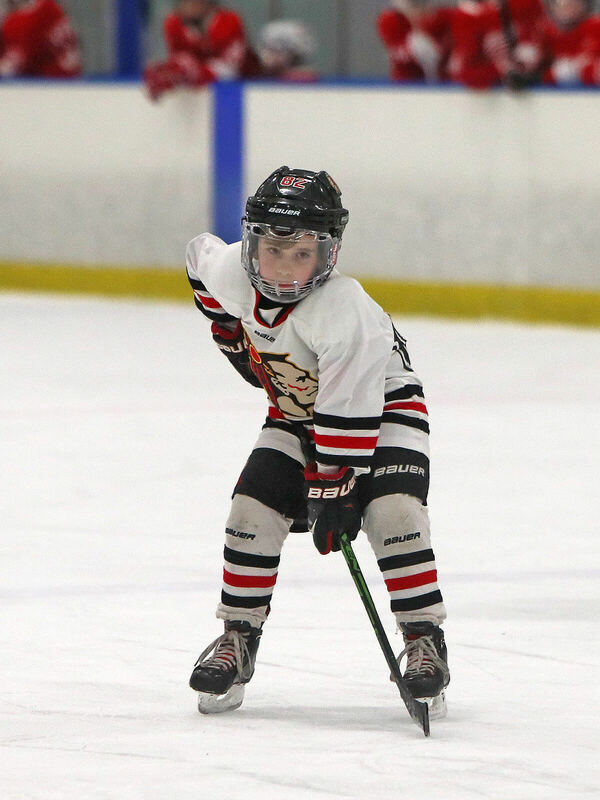 To keep his skills relatively sharp, though, we will be doing private lessons for an hour every few weeks starting in May cause, come late August, I want him to be both hungry to play in actual games but ready too. I've seen far too many lacrosse kids struggle to regain their skating stride at the onset of the hockey season -- we'll do our best to avoid that. And should he become jealous of his younger brothers playing hockey, week in and week out for the ENTIRE OFFSEASON, sure, I'll let him tag along for some low pressure open hockey.